Information: Violet Alford, author of books about folk dance. Dances of France, III. The Pyrenees. Alford, Violet. New York: Crown, 1952. 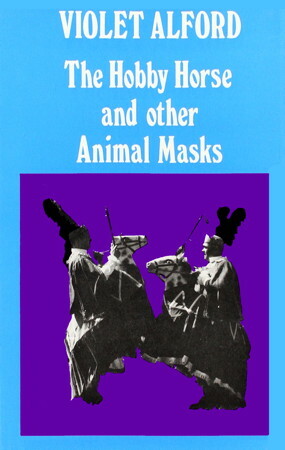 The Hobby Horse and Other Animal Masks. Alford, Violet. London: 1978. (GT 1748 E85 A53 1978 PCL). Introduction to English Folklore. Alford, Violet. London: Bell, 1952. (398 AL28I PCL). Peeps at English Folk Dances: Containing 12 full-page illustrations, 4 being in colour. Alford, Violet. London: 1923. (GV 1646 E6 A6 FAL). Pyrenean Festivals, Calendar Customs, Music & Magic, Drama & Dance. Alford, Violet. 1937. (914.65 AL28P PCL). Sword Dance and Drama. Alford, Violet. London: 1962; Philadelphia, 1965. (GV 1796 S9 A4 FAL). The Blue Dress. Alford, Violet. Wind from the South. Alford, Violet.